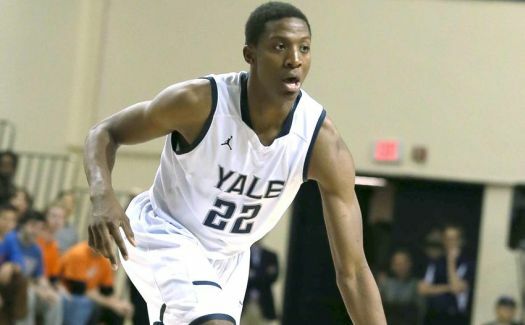 Our Richard Kent caught up with Yale head coach and freshly minted Ivy Coach of the Year James Jones in preparation for the Bulldogs’ playoff with Harvard Saturday at the Palestra. IHO: How is the preparation different when you play a team as much as you have played Harvard this year? JJ: No difference, just a little more rest time this week with only one game. 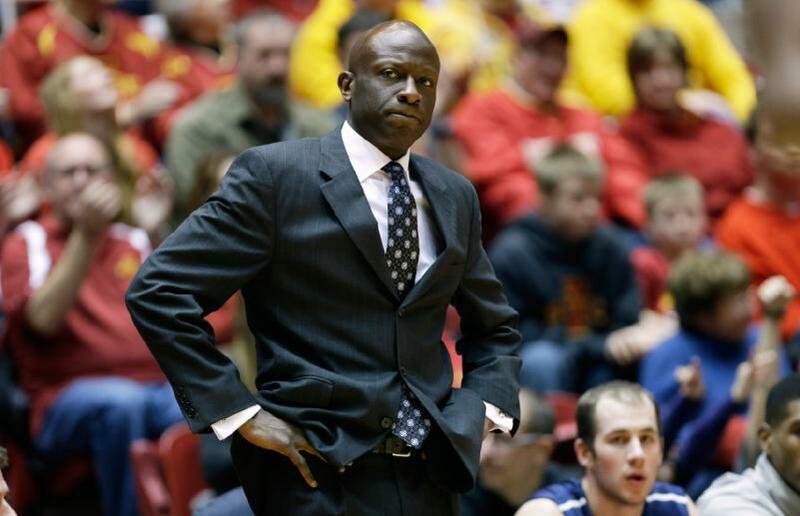 IHO: What do you see as the key to Saturday’s game? JJ: Rebounding and transition defense. We have to control the glass again and not allow them to score in transition. IHO: What has the response been from alumni, students and fans this week? JJ: Everyone is super-excited about the opportunity and the season the team has had thus far. NEW HAVEN – Yale found a gear which it probably didn’t know that it had Friday night and a scoreboard-watching crowd added to the excitement at Payne Whitney Gym. The Bulldogs were down to Princeton 47-39 with 13:41 remaining and then all of a sudden they went on a 42-13 offensive tear to defeat the Tigers, 81-60. Princeton was defenseless against the onslaught. Justin Sears refused to be denied during that stretch, which James Jones characterized as, along with an earlier season win over Lafayette, the best stretch in a game of the season. Sears finished with 28 points and 12 rebounds and seemed to be all over the court. 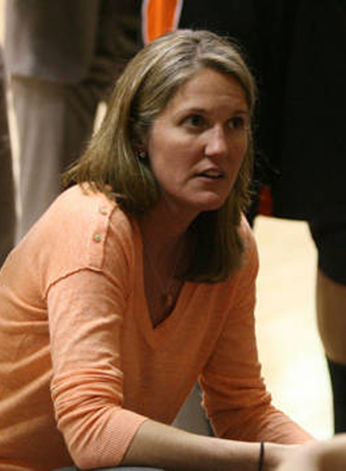 Our Richard Kent caught up with Princeton women’s hoops coach Courtney Banghart, whose No. 16 Tigers are 24-0 with just six regular-season games left. Princeton’s 56-50 win at Yale last Saturday was its closest margin of victory all season. IHO: Did Yale present any problems which were unanticipated? CB: Yale played a really solid game. They were physical and ran with us on both ends. They made tough shots and capitalized on a sub par defensive night for us. On the offensive end, we forced too many early shots — albeit shots that we make on a regular night. When we moved the ball deeper into the possession we had more success. Our starting guards didn’t play well, but our posts were the difference. Sometimes, the reverse is true. That’s why they call it a team. Sure it was a strange game, but Yale survived and beat Princeton by a healthy margin on the road. They easily dismantled Penn the night before. Harvard had more than trouble at home with Columbia on Friday night and was behind Cornell at the half on Saturday. 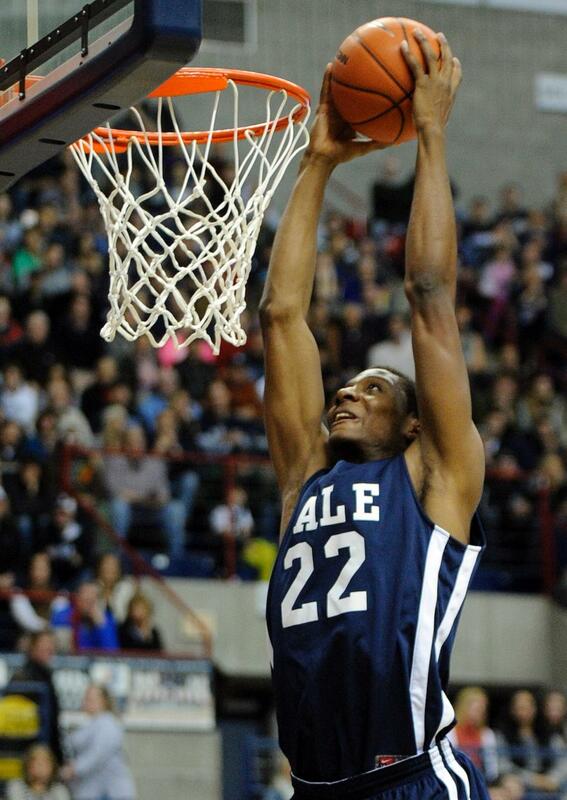 If the Ivies were decided by margin of victories, Yale would win the crown in March. Harvard has struggled with Columbia, Princeton and Brown. Yale has gone through its Ivy schedule with relative ease. Notwithstanding Yale’s win last year at Harvard, the Crimson represent a bad matchup for the Bulldogs. The Crimson are good at locking down Justin Sears, rebound better than Yale and invariably win the point guard battle. So what is the point? Simple: Yale will need some help to win the Ivies. That help should have come in the form of Brown in Providence, but Harvard came home there with an unlikely win. 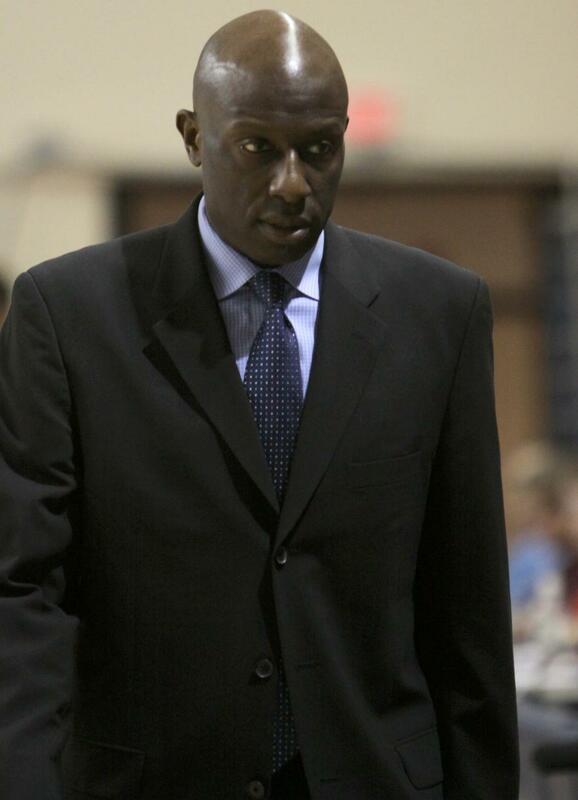 IHO caught up with Yale coach James Jones after the Bulldogs’ 52-50 loss to Harvard Saturday night, which allowed the Crimson to tie Yale atop the conference standings. IHO: Did Harvard do anything special to stop [Justin] Sears, who only had nine points? JJ: Nothing really special, but they did get him out of the box. IHO: How do you account for a 16-11 halftime score? JJ: Both teams came out and let the moment get the best of them.